These Korean War era photographs belong to Gene A. Stone. Lieutenant Stone was in the Army Counter Intelligence Corps (CIC), first assigned to the 308th CIC Detachment at 8th Army Headquarters in Seoul, Korea. 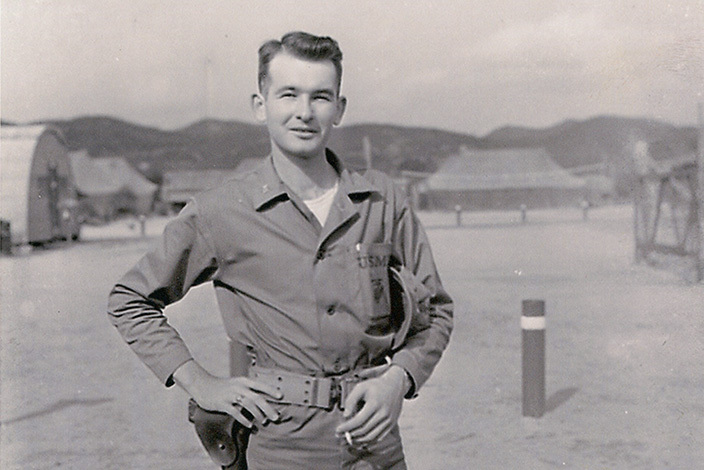 Three weeks after arriving in Seoul, he was assigned to the 181st CIC Detachment, 1st Marine Division for 14 months. The Counter Intelligence Corps in that era was a Top Secret all volunteer military organization whose mission was to provide operational expertise for the Military establishment in combating treason, sedition, espionage, sabotage and numerous other subversive activities.